The older I get, the less I want to smell overblown, synthetic fragrances. That is why I so prefer unscented beeswax candles. In my youth, I think I was oblivious to products virtually dripping in fragrance. Throughout my adulthood, I have just found myself more and more annoyed at candles full of perfume and the like. I sound stodgy here, I am afraid. The funny thing is, I am in my 40s, but people only know it if I tell them. I get carded all the time! At 41 as I write this, I am most-often told I am 26. 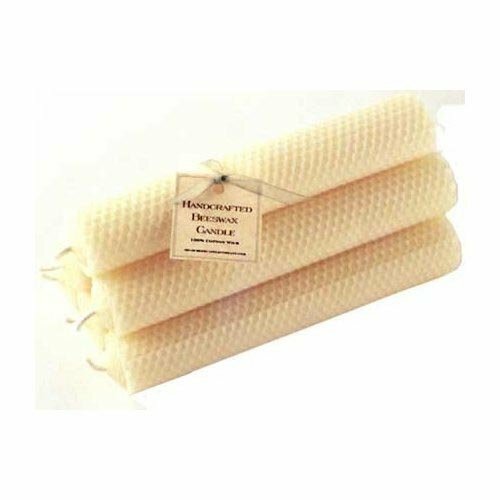 What does any of that have to do with unscented beeswax candles and you wanting to buy them? Probably nothing. Maybe I should talk about those some more now! You know, beeswax candles are an ancient item that remains with us today, and is such a viable market that there are big and small companies participating in it. There is no one unscented beeswax candle -- heck, there are more than just two kinds! Indeed, unscented candles made of beeswax come in a range of styles, sizes -- you name it! I want to show you now some unscented beeswax candles I like. May I? This nice 11-ounce candle comes in its own glass tumbler, and it actually features a blend of beeswax and coconut oil. There is no fragrance added to it -- you will just smell what the manufacturer calls a "barely-there" delicate honey "presence" indigenous to the beeswax. You might say Bluecorn Naturals produces tapers "in full color". The misconception that beeswax candles come only in "beeswax color" is understandable. 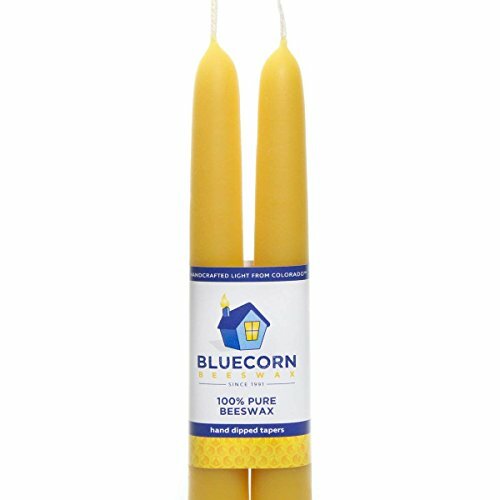 In fact, you can buy dyed, unscented beeswax candles, and that is something Bluecorn Naturals knows well how to make. In the biz since 1991, this Colorado company happily makes long-burning, no-fragrance added beeswax candles in the USA. 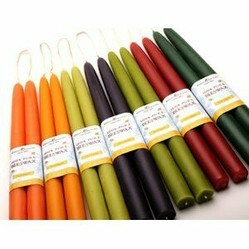 ArtisanStreet has a very nice set of hand-rolled candles (around 100% cotton wicks!) that give a nice touch of elegance without stinking up your home with some added, gooey fragrance. This rustic, yet unique take on candle design sure makes the most of the materials that go into making a candle. Beeswax makes for a slow-burning candle medium, and the Candle by the Hour folks have come up with a way to help you easily manage how much candle you burn. 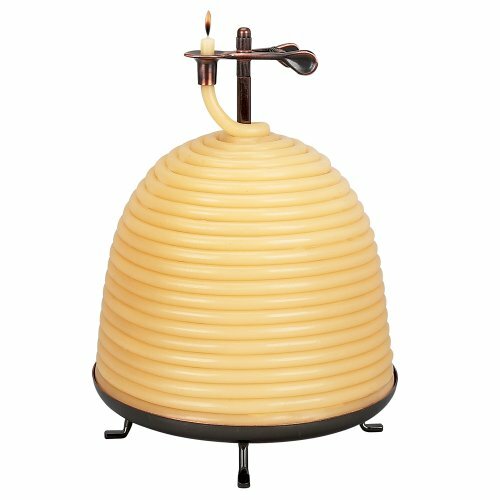 The wick stops burning once it reaches the clip on the stand that holds this beeswax rope candle. I think in writing this article I have figured out what I am giving a number of people in my life next Christmas. Do Enlighten Me with Your Comments?